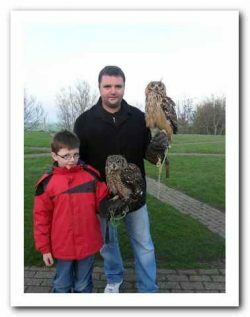 This half day experience is the ideal gift for children (minimum age 10) and adults that have a fascination with birds of prey. You will be greeted on arrival and taken for tea or coffee. 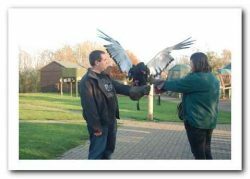 You will then be introduced to your falconer who will give you a brief safety talk. Your experience can be tailored to suit you and will begin with a guided tour of the centre. 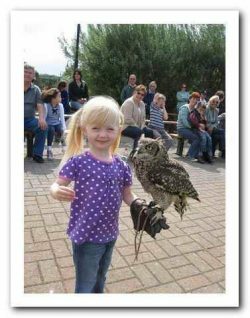 You will get to meet and handle a variety of birds including the Little Owl, Barn Owl, European Eagle Owl, Buzzard, Harris Hawk, Kestrel and several falcons. After the excitement of getting up close to these majestic birds you then get the chance to fly some of them in one of our flying displays. 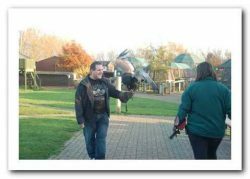 To round of the experience you will have a photo taken of you holding a bird of your choice (within reason). 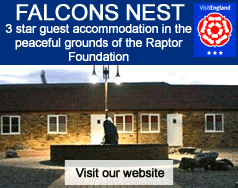 Price: £40 (All of our experience days are on a one to one with a trained falconer and one free guest can accompany you) Gift vouchers available.